Freshly delivered! – Retro Gamer Issue #174 – I ❤ Old Games! I’m running a bit late with the last posts of 2017, and this one is no exception. I’ve received some time ago the last Retro Gamer issue but I haven’t got time to show it to you so I’m doing it now, even though I think another issue is on its way to Italy (and it will be a great one! 🙂 ). 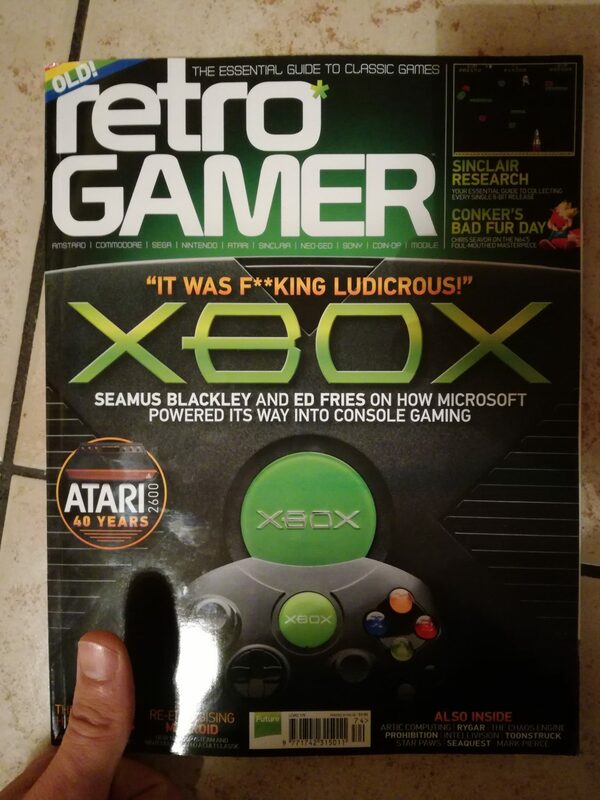 It looks like XBox has just reached the status of retro console and it deserves the cover of the last mag. This is a console I’ve never owned nor played so it will be interesting for me to know something more about it. On the other hand, I’m very very curious to read about the retrospective on the Atari 2600 40th anniversary and Sinclair Research games, since I’m an avid ZX Spectrum lover and a proud owner. Other interesting entries are about Rygar, The Chaos Engine and the Intellivision, a console I’ve planned to buy but never had the chance to find for a small price. I’m already at a good point in reading this issue and I really can’t wait to receive the new one! Previous Post [Editorial] In defense of E.T. Pingback: [Editorial] Guess what’s next on I ❤ Old Games! – 07/01/18 – I ❤ Old Games! Pingback: [RetroPicks] The Ghosts, the Goblins and the others – I ❤ Old Games!